Introducing the sporty and versatile class B gas coach by Pleasure-Way, the Tofino. 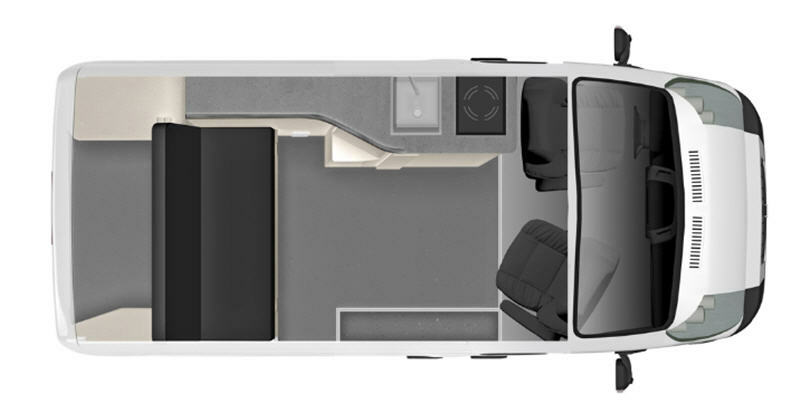 From the cutting edge technology to the simple design, you can enjoy dry camping anywhere in this pop-top camper van. The Tofino is built on a Ram ProMaster 1500 chassis with a 136" nimble wheelbase to be able to drive in the city as well as the mountains. Inside, you will love the spacious upper bunk with Sunbrella roof tenting that pops up, and the remote control interior lighting. And storage is no issue with 70 cubic feet of rear cargo storage. Check out the Pleasure-Way Tofino class B gas coach for a fun and convenient way to see the world! See us for a complete list of features, available options and warranty info!